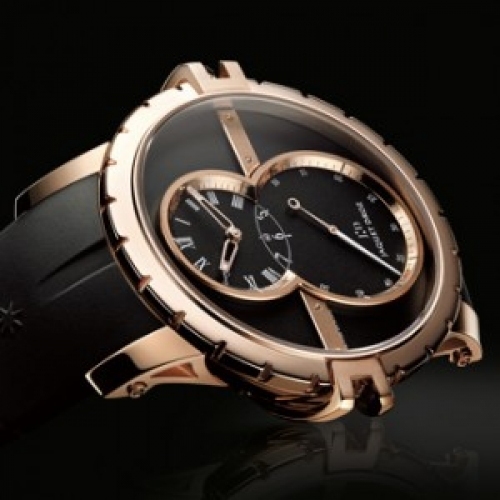 In unveiling the new Grande Seconde SW Red Gold, Jaquet Droz adds a noble touch of distinction to its Urban London sports line in a model combining technical performance and ultimate elegance in a fascinating dialogue between red and black. 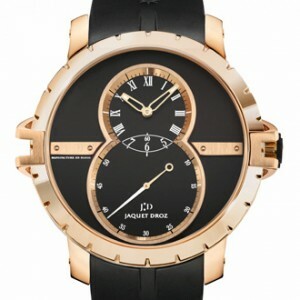 Red gold is featured first and foremost on the case, as well as on the three-dimensional ring surrounding the two counters of this model with its superbly masculine lines. It also enhances the fluted bezel with its resolutely distinctive design, together with the applied plaques, the openworked horns, the hands and the folding clasp. Its glowing radiance makes a powerful contrast with the dark matt shade of the rubber strap, dial and crown. This stunning model represents an exclusive response to the expectations and demands of devotees of fine horological mechanisms.